"We’ve elevated the universal remote to the next level, taking a personalized approach to home entertainment"
NEWARK, Calif.--(BUSINESS WIRE)--Today Logitech (SIX: LOGN) (NASDAQ: LOGI) announced the expansion of its award-winning universal remote control lineup with the Logitech Harmony® Ultimate and the Logitech Harmony® Smart Control. Both products feature Logitech’s Harmony Hub and Harmony Smartphone App to enable closed-cabinet control and one-touch entertainment access to game consoles from your universal remote or smartphone. The Harmony Hub takes personalizing your activities a step farther into home control with the ability to program your Philips Hue lights to the desired brightness and color with a tap of the Logitech Harmony Ultimate. The Logitech Harmony Ultimate and Logitech Harmony Smart Control are compatible with more than 225,000 home-entertainment devices and more than 5,000 brands. Both include the Harmony Hub, which uses Bluetooth® wireless technology to power on game consoles such as the Sony PS3®, Nintendo Wii® and Wii U. The Harmony Hub also controls infrared devices inside closed entertainment cabinets and without the need to point at them. Each also comes with the Harmony Smartphone App, which anyone in the house can download to turn his or her smartphone into a personal universal remote. 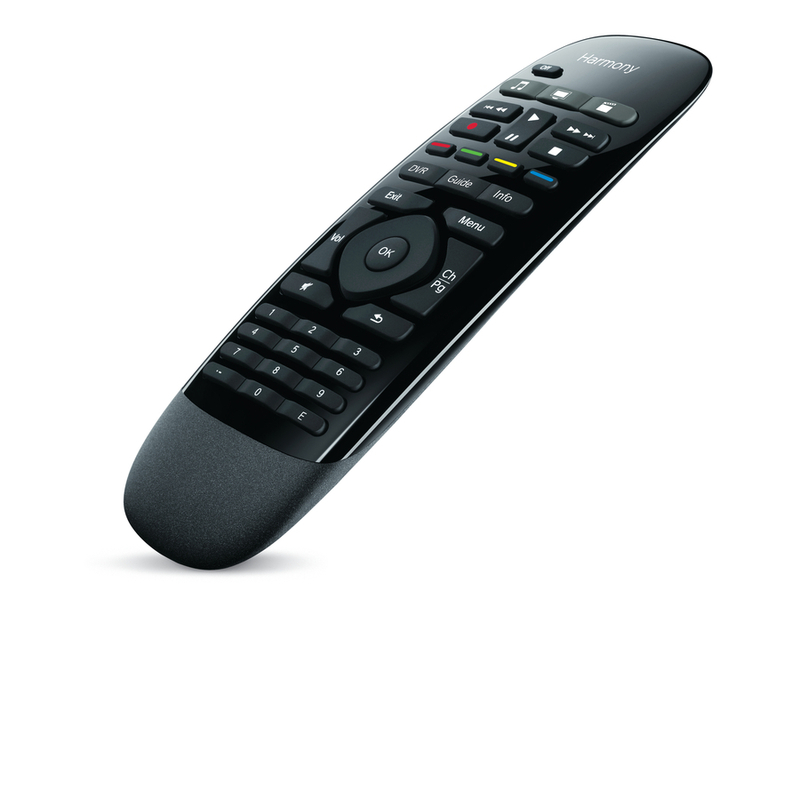 Able to control up to 15 devices, the Logitech Harmony Ultimate is a fully featured remote with a 2.4-inch color touch-screen that enables no-look control over television programs, movies and music by using simple swipes and taps. It also introduces the ability to program Philips Hue lighting systems with entertainment activities allowing you to adjust the room’s lighting as easily as changing the volume of your television. Other exclusive features include vibration feedback so you know it received your touch-screen commands, tilt sensors and buttons programmable for both short and long presses, doubling the available functions. The Logitech Harmony Smart Control and Harmony Smartphone App turn your iOS or Android phone into a universal remote, giving you personalized control of up to eight devices from anywhere in the house using the smartphone you already own. Plus, it includes a simple remote control for when your smartphone isn’t handy. These new products join the Logitech Harmony Touch to complete the Logitech Harmony remote lineup. The Logitech Harmony Ultimate is expected to be available in the U.S. in April and Europe in May 2013, for a suggested retail price of $349.99 in the U.S. 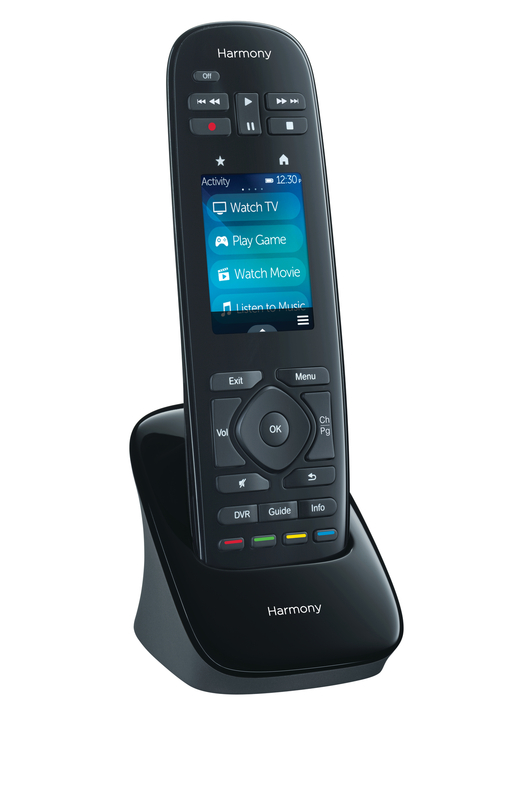 The Logitech Harmony Smart Control is expected to be available in the U.S. and Europe in May 2013, for a suggested retail price of $129.99 in the U.S. The Logitech Harmony Smartphone App will be available for download from the Apple App Store and Google Play. For more information, please visit www.logitech.com or our blog.